I’d be delighted if you’d share what the Land of Milk and Honey means to you. While you contemplate, the idea, I do highly recommend nibbling on Land of Milk and Honey Muffins. Full disclosure: According to Rabbi Menachem Posner, the honey referred to in the Talmud is date honey. 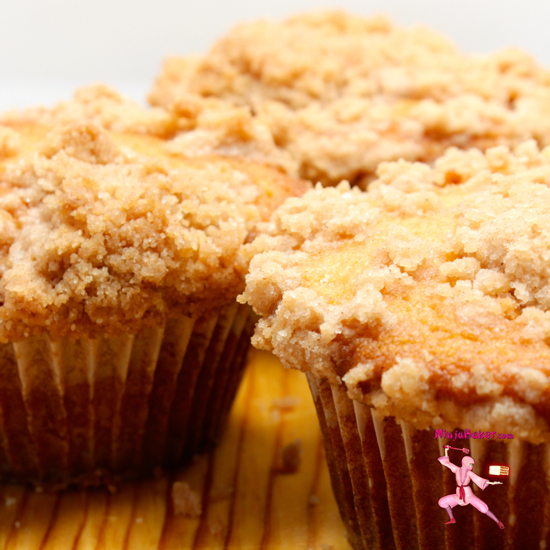 Bee honey - organic Italian Mandarin Orange Honey - was used in this Ninja Baker's Land of Milk and Honey Muffin. may not deliver you to the Promised Land. But they will take you to your happy place! Karen of Karen’s Kitchen Stories requested that we all contribute Jewish breads for this month’s Twelve Loaves baking group. (Scroll down for details on how to participate.) 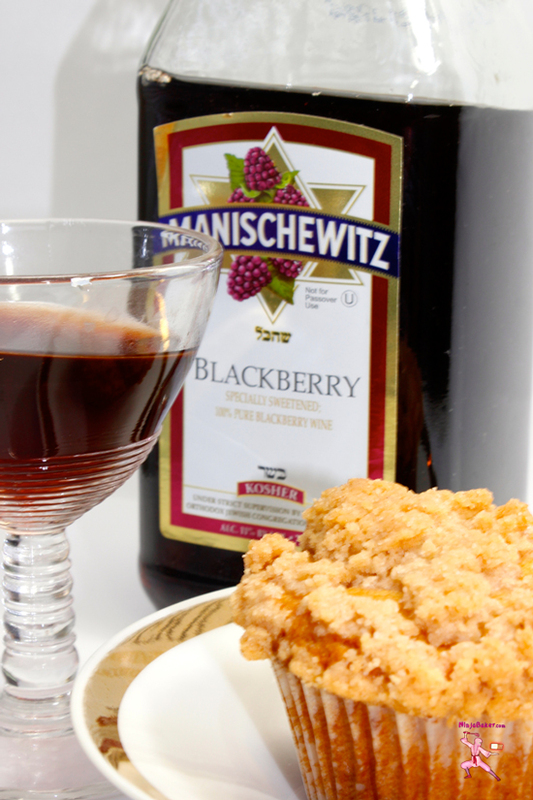 I’ve attempted my version of Challah-like braided bread and munched on my yummy Manischewitz donuts. So, why not try a Land of Milk and Honey muffin? And I’m very glad I did. The muffins are mini coffee cakes clad in cupcake cases. 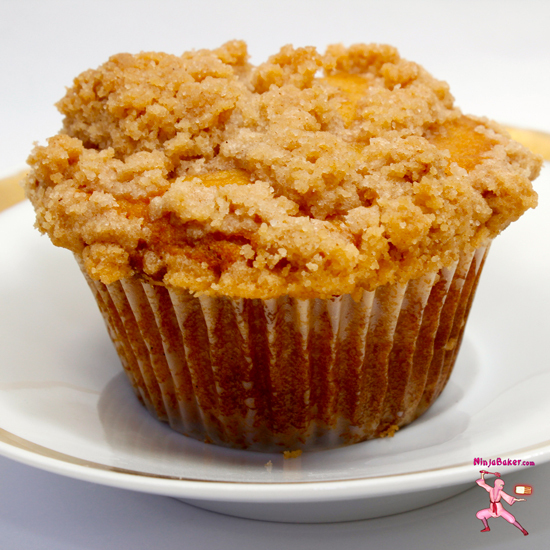 Streusel garnish atop a moist, light muffin may just have you thinking you’ve entered the Land of Milk and Honey! 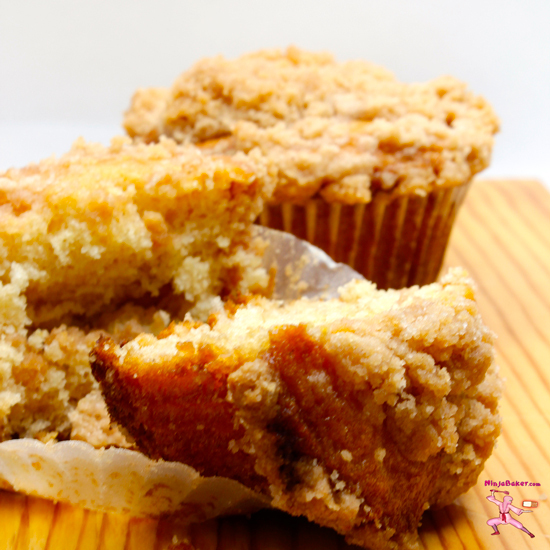 Bite into the tender crumb of a Land of Milk and Honey Muffin and the promise of a sublime mini coffee cake is delivered. 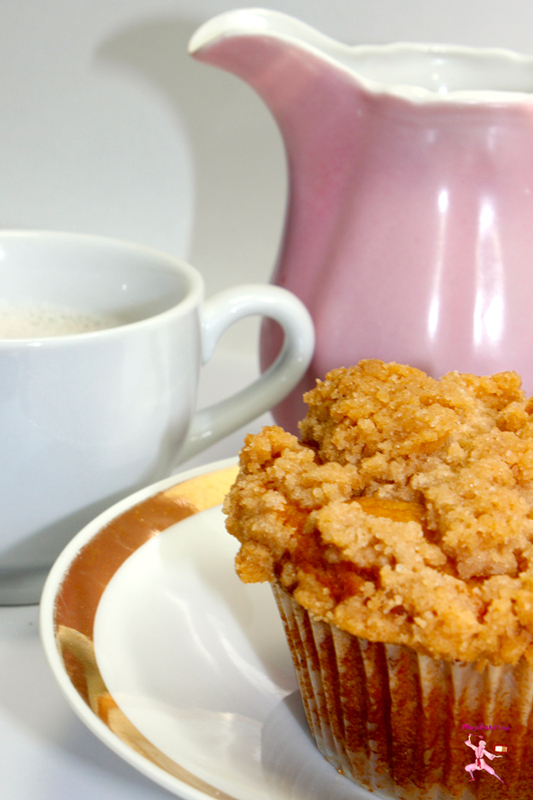 Land of Milk and Honey Muffins are best made with high-quality ingredients and a lot of love. Adapted from a recipe at NoblePig.com. Preheat the oven to 375° Place cupcake cases into a muffin tin. Melt the ¼ cup butter in the microwave or over low heat in a saucepan. Set aside. In a separate bowl, whisk the flour, sugar and cinnamon for the streusel. Cut in the softened butter until a fine crumble appears in the streusel bowl. Set aside. For the muffin batter, whisk together the flour, sugar, baking powder, powdered lemon peel and salt in another clean bowl. 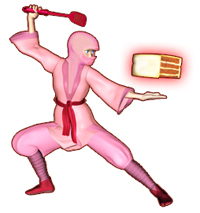 To the melted and cooled butter, vigorously stir in the egg, milk, honey and vanilla bean paste. Slowly, add the dry muffin batter ingredients. When well combined, divide the batter among the 12-cupcake cases. Sprinkle each muffin with the streusel. 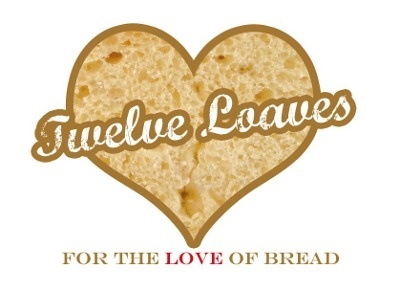 #TwelveLoaves is a monthly bread baking party created by Lora from Cake Duchess and runs smoothly with the help of Heather of girlichef, and the rest of our fabulous bakers. Our host this month is Karen from Karen's Kitchen Stories, and our theme is Jewish Breads. For more bread recipes, visit the #TwelveLoaves Pinterest board, or check out last month's mouthwatering selection of #TwelveLoaves "A Little Something Sweet" Breads! If you'd like to bake along with us this month, share your Jewish bread using hashtag #TwelveLoaves! Wishing you places where the promise of happiness awaits. 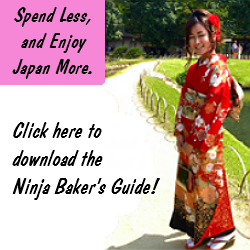 Follow Ninja Baker @NinjaBaking's board NinjaBaker.com Sweets on Pinterest.